Beginnings - Hughes Brothers, Inc.
Our dedication to the creation of high quality products began with the patriarch of the Hughes family, John Morse Hughes. 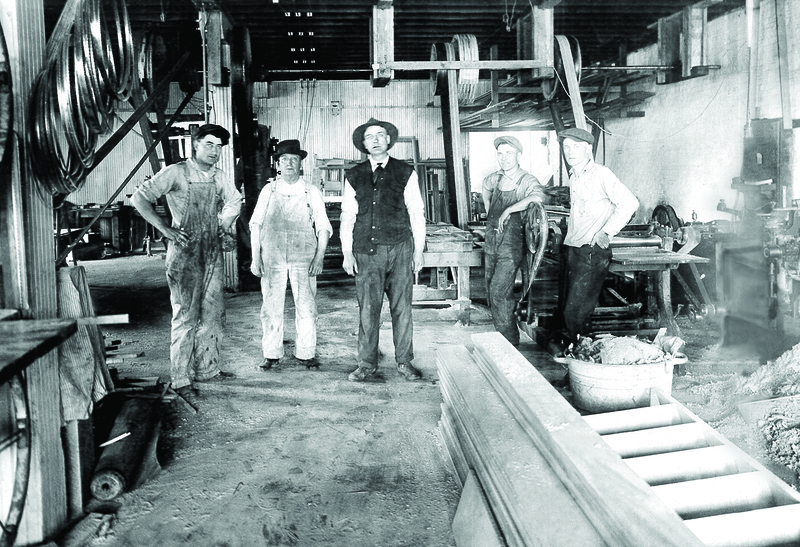 Father Hughes was a skilled carpenter who came to Seward, Nebraska in 1893 to work. He quickly developed a reputation for structures forged with an obvious devotion to painstaking-detail and unwavering adherence to standards. He passed this commitment to his sons, John, Burr, Ted, and Ben, who learned the basics of industrial production from their father. Following his passing in 1918 the brothers combined to fom Hughes Brothers, Inc.
Our introduction into the production of the finest wooden crossarms available anywhere stems from a severe ice storm that crippled the town of Seward in 1921. Hughes was tasked with producing and replacing these crossarms for the Blue River Power Company, and the completion of this project advanced us into that trade. Our commitment to uncompromised quality has guided our work ever since. In 1927 Hughes incorporated steel products into the business offering and later introduced the distribution crossarm brace which is one of our Century Tested™ items. Later in 1929 Hughes introduced our signature X-Brace for H-Frames to add stability and reliability to any structure. With each iteration of this design we continue to test it to guarantee it’s continued reliability and strength.